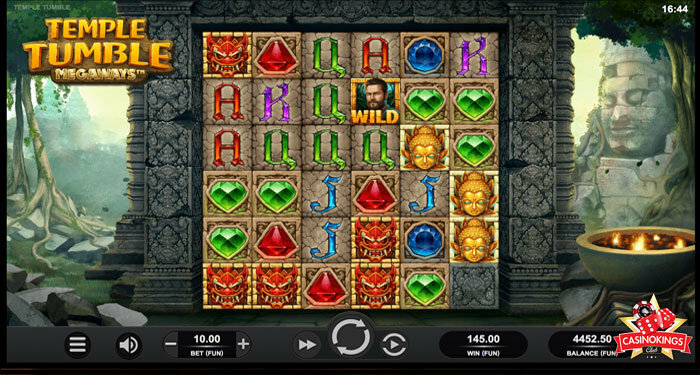 When you start up Temple Tumble, you immediately see that this Aztec-themed game slot from Relax Gaming got its inspiration form games like Montezuma and Push Gaming’s 2018 breakthrough hit Tiki Tumble. 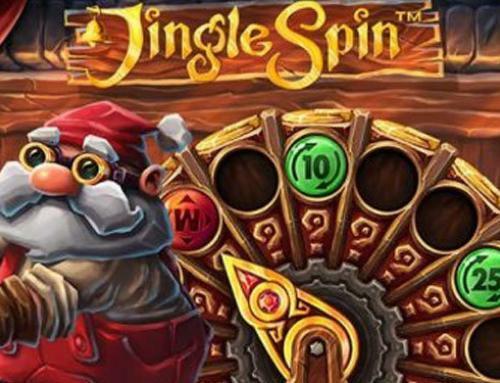 This slot is packed with action and entertainment and has been wrapped in a very appealing design. 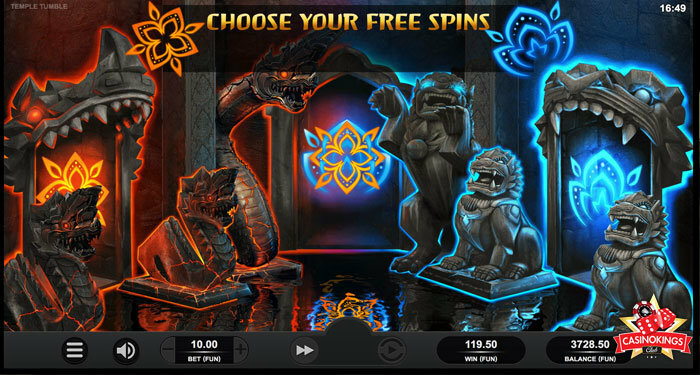 There’s a bundle of modes on offer in the free spin bonus where you’ll get to choose your preferred volatility, but other than that it’s rather simple and straightforward with few features. Relax Gaming is best known in the industry for providing the open platform called Silver Bullet, used by partnering software developers such as Push Gaming, Quickspin and Genesis, Recently Relax Gaming decided to bring out games under their own label and after a few misses things are now looking brighter for the company as a result of the newly acquired Megaways license, which they debuted with the online slot Machina. 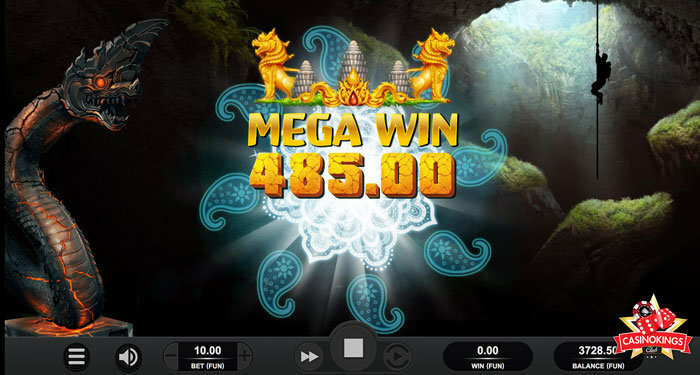 Temple Tumble is Relax Gaming’s second Megaways title available across all devices from between 0.20 to 100 Eur a spin and played using a 6×6 grid layout with up to 46,656 ways to win. It comes with a cascading mechanic where winning symbol combinations are destroyed and replaced by new ones. The game is set against a jungle scenery with a stone sculpture and ceremonial flames. The reels come with the usual four low-value A, K, Q and J royals, 3 medium-value gemstones, and two high-value symbols: a dragon mask and the Aztec face sculpture. The latter is the most valuable, giving you 1 time your stake for 6 of a kind. The wild symbol is the adventurere and replaces all other symbols. This wild can appear in any column but the first one. The safe route is the medium volatility bonus as it’s more likely to result in an ok win. On the other hand, going for the more volatile options you’ll have a shot at the massive payouts but also more likely to walk away empty-handed. Temple Tumble has the potential to reward you with wins of close to 8000 times your stake. 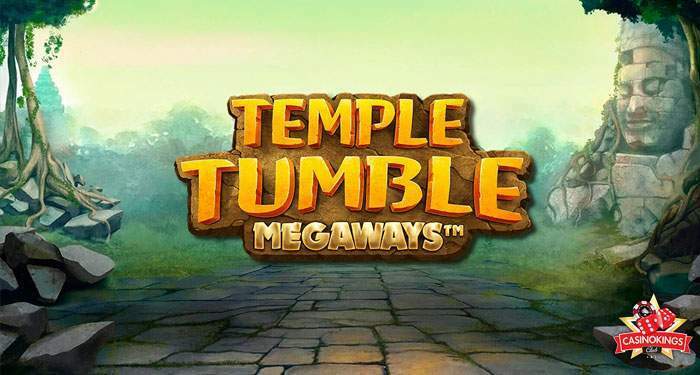 With a cool design and an nice Megaways game play, Temple Tumble is a game that is quit enjoyable. It’s not an industry shifting game at all, but as far as Megaways slots are concerned, it does have something nice to offer. The jackpot prize of 7767x is relatively low for a Megaways slot but much higher than average when compared to most casino games available. 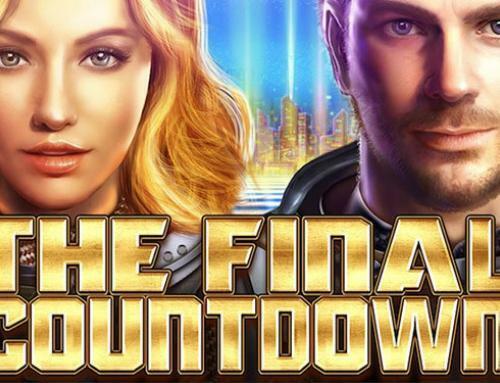 We don’t think it will end up in our top 10 of best games ever but it’s fun to discover the Megaways engine with a Relax gaming touch to it. 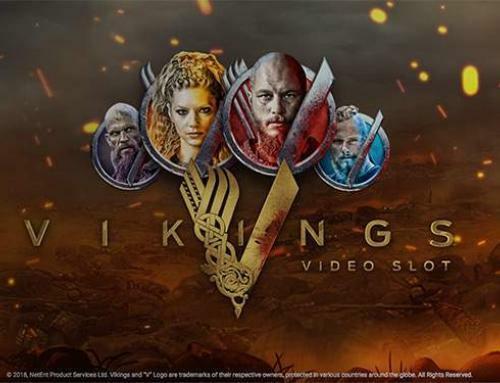 Read other reviews such as Jingle Spin and Vikings.